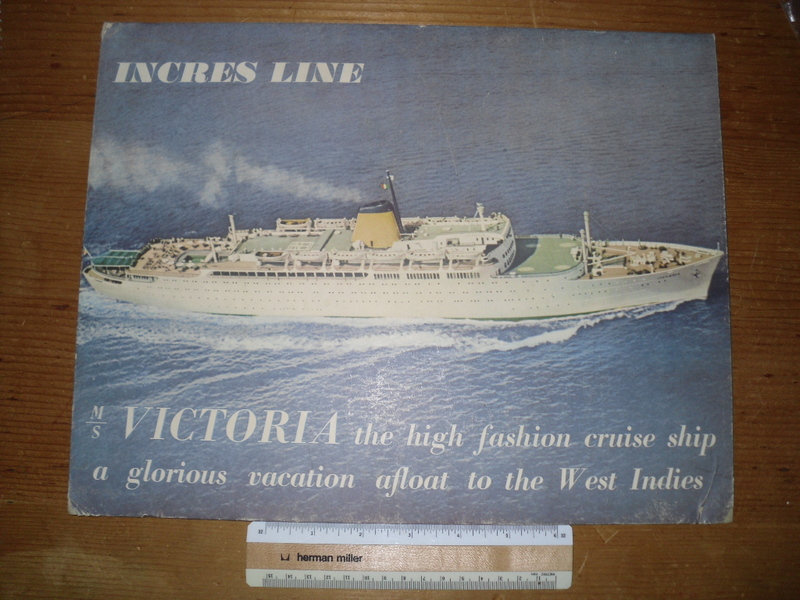 MV Victoria: A nice travel agency counter card for this trendy little post war cruiser! She started liFe in the 30's as a traditional looking motor ship for Union castle ... and after war was gutted and rebuilt to become a gem of Italian modern design for Incres. This card is in good condition with some edge bumping.